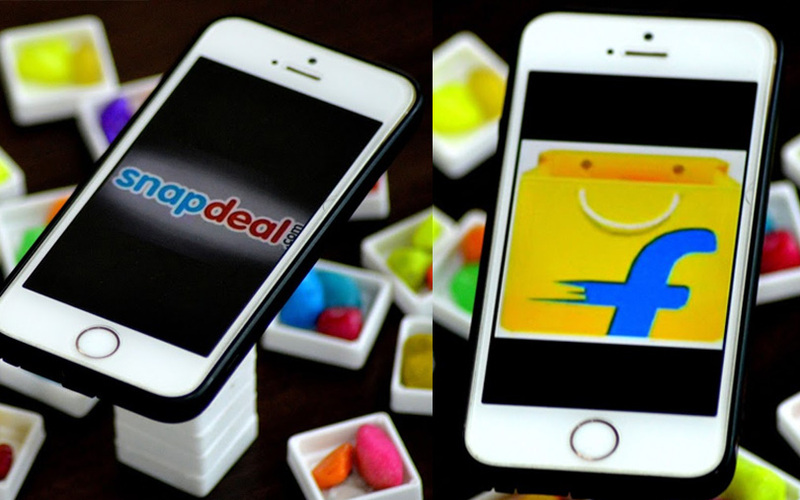 Even though the board of e-tailer Snapdeal has accepted rival Flipkart's revised takeover offer of $900 million, minority investor PremjiInvest's refusal to cash out may prove to be the last hiccup in their merger, people familiar with the ongoing discussions told VCCircle. Two persons with direct knowledge of the matter said that PremjiInvest, the proprietary investment arm of Wipro chairman Azim Premji, wants Flipkart shares in lieu of the stake it holds in Snapdeal than cashing out. All Snapdeal shareholders except PremjiInvest, the persons said, are willing to sell their stake and exit while some are negotiating for a better price for their holdings. 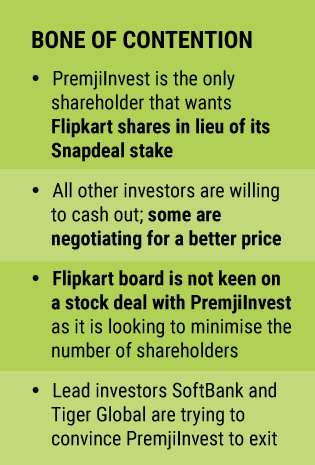 However, the Flipkart board is not keen on a stock deal with PremjiInvest as it is looking to minimise the number of shareholders, according to one of the two persons cited above. Among Snapdeal investors, Flipkart wants to have only SoftBank as its shareholder following the merger deal. The thinking within Flipkart is that fewer shareholders will mean faster decision-making, especially in areas of strategy and future direction. PremjiInvest has so far not relented to SoftBank's offer for buyout of its stake. TK Kurien, its managing partner and chief investment officer, is leading the discussions with SoftBank and Tiger Global, the lead investors of Snapdeal and Flipkart, respectively, the person said. PremjiInvest may even opt for arbitration or take the legal route to ensure a stock-swap deal, the other person indicated. “The deal would go through with or without PremjiInvest’s agreement as Tiger Global and SoftBank have been working very closely on this. SoftBank has managed to get the consent of 75% of Snapdeal shareholders,” said a third person close to the development. Even though Snapdeal founders courted the idea of joining forces with listed e-tailer Infibeam and some early-stage talks took place, SoftBank wants Snapdeal to merge with Flipkart. It is gunning for around 20% stake and a board seat at Flipkart through the merger deal, and an additional $1 billion share purchase through a mix of primary and secondary transactions. While various clauses of the merger agreement are still being debated, SoftBank and Tiger Global are working closely to conclude the deal within weeks. “The deal should close in early August in a stock transaction that would value Snapdeal around $900 million,” the last person cited above said. PremjiInvest partner Rajesh Ramiah declined to comment on the ongoing discussions.